Dinner at Shima in Tokyo. 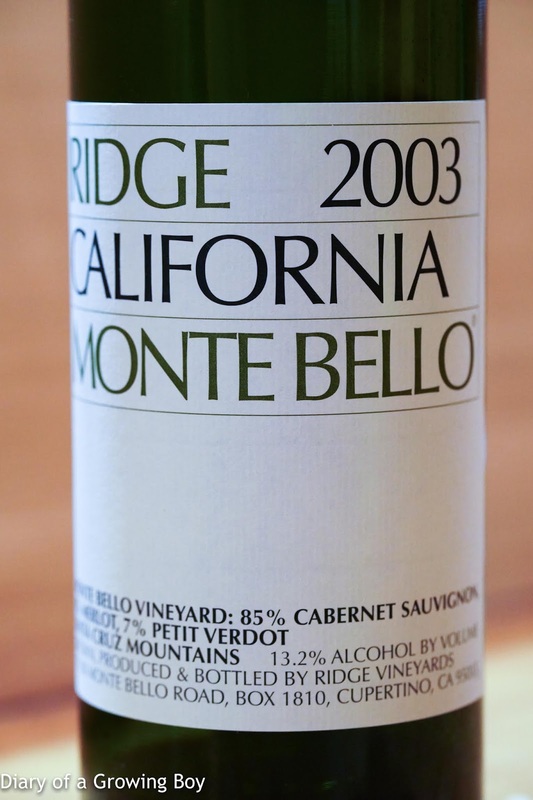 2003 Ridge Monte Bello - decanted after opening. Nose was very Cali but the palate was more acidic than I expected. There was clearly plenty of sweetness and vanilla oak in the nose, while smokiness emerged half an hour after opening. Also black fruits like plums. Sweeter on the palate a little later, but the tannins were still here.